Have you been listening to the YaJagoff Podcast first 4 episodes? Let’s find out. Click the link below to answer 5 questions about the podcasts. Get all 5 correct, you can win a copy of the YaJagoff book, “Above the Fries, a t-shirt and a YaJagoff shot glass. Click the link to enter the pop quiz. Good luck! 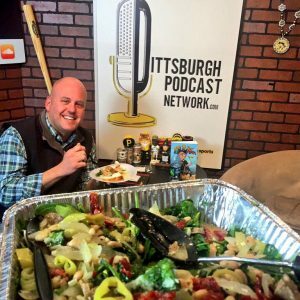 Thanks to The FoodTasters Pittsburgh for the help with the quiz! Tired of Those Highmark vs. UPMC TV Ads??? We Have It!